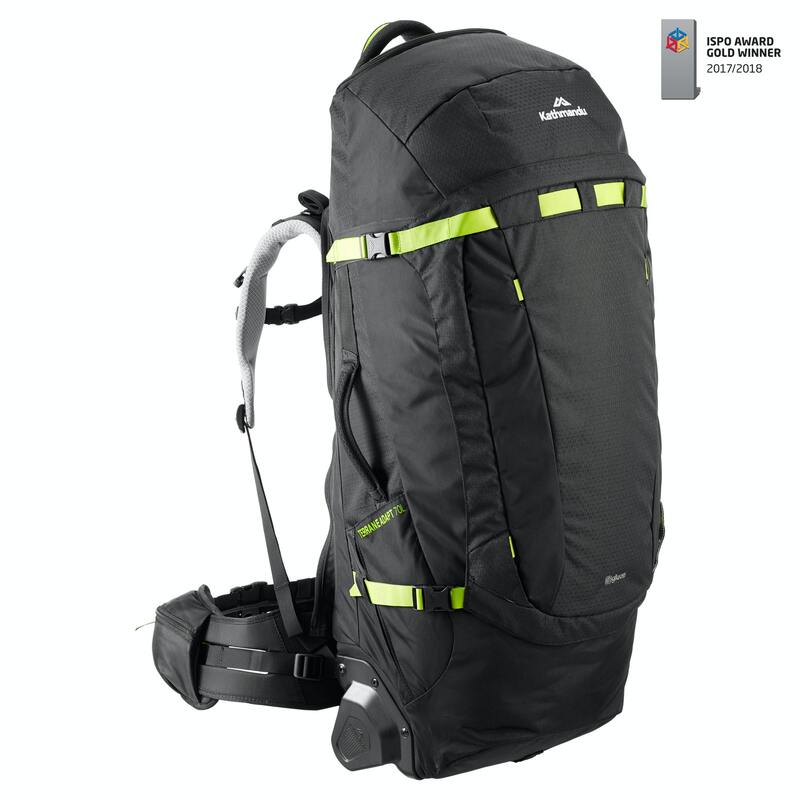 The Terrane 70L Adapt Pack is a game changer – winner of the ISPO Gold Award 2017! Setting a new benchmark, the Terrane is your ultimate, versatile travel pack. Designed firstly as a backpack with the superior carrying comfort of our C3 Adapt harness, the Terrane also features an original, ingenious wheel design for transiting. Voted Best Check-In for Carryology's Readers' Choice Awards 2016. Winner of the Australian Business Award for New Product Innovation 2016.